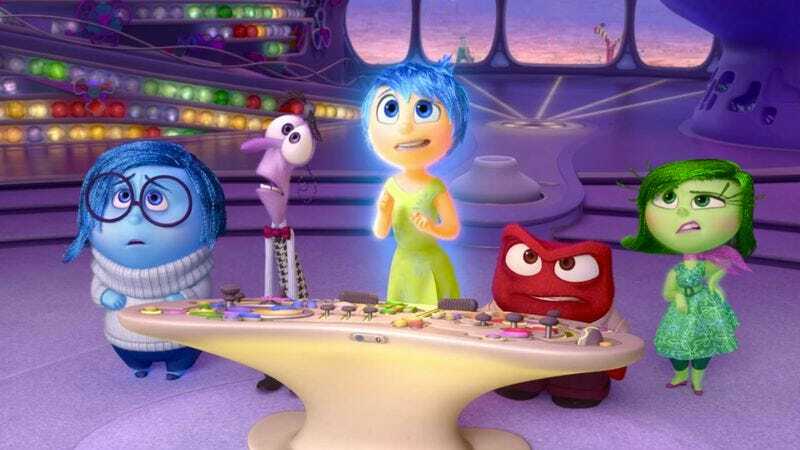 Pixar’s Inside Out was a rousing success and has since gone on to be shortlisted for best animated feature Oscar. Many people were taken aback by the movie’s messages about emotions and, especially, the role that sadness plays in shaping the lives and selves of young people (specifically that it’s not always a bad thing). The film has also inspired many different internet ventures, whether it’s Disney synergistic video of the emotions reacting to The Force Awakens trailer, a video using the same inner workings of a mind to determine whether something is racist, or the inevitable Inception mashup. Clearly the film touched a cultural nerve, being used as the launchpad for many a parody, but it also has led to deeper thinking and a new compelling video essay about the role of emotions in western society. The Nerdwriter (a.k.a. Evan Puschak) has created the following video that posits that Inside Out represents the emotions as society understands them in a “post-Freudian, post-cultural revolution age,” as he puts it. The video delves into western society’s long tradition of pitting reason against emotions, as well as the psychoanalytic belief that many emotions aren’t the cause of actions but instead the reaction to subconscious beliefs. It’s heady stuff that is particularly well done and presented in an impressive manner that reveals this kids’ film may have a lot more going on with it than many believe.